CAN YOU SPARE SOME TIME? 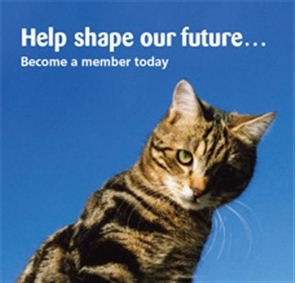 Becoming a member of Epsom and Ewell District's Branch of the Cats Protection is a great way of showing your support, plus you will be helping us shape our future. All full members of the National Cats Protection have voting rights at our Annual General Meeting, meaning your voice will be listened to as we strive to help even more cats into the future. To become a member, please select from one of the two options below. Click the link to the right to download our Membership Form, you can print out and fill in to return by post. Click the link to the right to download our Standing Order Form, you can complete and take to your bank.